The late 70’s and the early 80’s was a great time of cinematic discovery. The dark ages of special effects were slowly ending, and several directors were rising to prominence with their visions. One of these directors was Steven Spielberg. 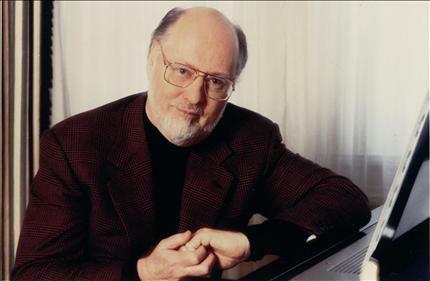 However, along with Spielberg’s name, another soon emerged into the collective minds of many young filmgoers: John Williams. The films he composed during 1975-1977 are the ones where most of us can trace our first listening/love of his themes, or musical scores. I still remember that among the myriad vinyl LP’s my parents had, there was only one soundtrack/score album: Star Wars. Up until 2011, the only recording of the score available, was the 9-track, out-of-print release put out by Varese Saraband. The surprise savior in releasing the expanded score came in the form of La-La Land Records, who are known for putting out rare or never-before-released scores. La-La Land chose a very limited release of the expanded score for 1941 in late September, with only 3500 units pressed. Some fans I talked to wondered if there would even be any interest in the score, but according to La-La‘s website, all 3500 units have sold out. Being a fan of behind-the-scenes material, La-La Land has given this release plenty of TLC. The CD ‘booklet’ is plenty-thick…so thick in fact, that you may need to use some ingenuity to get it out. 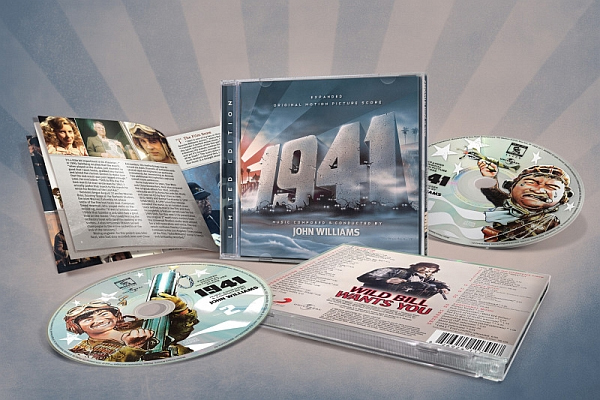 Starting with an analysis of the film and its history, the booklet then goes on to summarize each track, telling what is happening in each one, as well as explaining the musical cues and motifs that Williams is utilizing. For the film’s music, La-La Land has provided 2 separate CD’s. The first includes 29-tracks of the ‘Expanded Score.’ The majority of these tracks have not been released, while a few are similar in nature to the original 9-track CD released previously. One thing I’ve grown fond of over the years, is listening to scores for familiarities to other works done by a musician. Overall, it feels like there are thematic elements that would then weave their way into the films Williams would score over the next 6 years. While some of the more bombastic tonalities remind me of the work done in the Indiana Jones scores, some of the more subtle pieces utilizing the strings and some of the woodwind section, puts me in mind of what would be coming with the next Star Wars films in 1980, and 1983. Of course, what will stand out to many is the overly-patriotic March of the film. Williams’ use of trumpets is prevalent once the song ramps up to speed, as they give a punctuated fanfare that almost seems to be in a stand-off with the percussion section. The two almost seem to be trying to out-do each other in a display of rampant patriotism. Steven Spielberg remarked in one interview, that he felt that Williams’ march for 1941 was even better than the one he’d compose for Raiders of the Lost Ark 2 years later. Over the years, Spielberg has often said that he would like to do a musical, and in one of the film’s big scenes, a dance contest is held at a USO club. For this scene, Williams attempts to parody Benny Goodman’s song Sing, Sing Sing, and make it his own, in the form of Swing, Swing, Swing. The big-band piece is probably just as memorable to Williams’ fans as the main title of this film. Williams even goes in and riffs on his own works. This is prevalent in the brief track titled, Encounters. A familiar 5-note motif plays out on french horns as American Citizen Ward Douglas (Warren Beatty), spots the Japanese Submarine off the coast from his family’s cliff-side home. It isn’t often that a release has me ready-and-willing to fork over my money, but the promise of what La-La Land Records had in store was too much to resist. This was my first purchase from them, and I was very satisfied with the final product. I consider it money well-spent, as it seems that one must often go underground to find good scores, or even decent releases in the wake of motion-picture studios these days putting out Music-Inspired-By releases for their films.